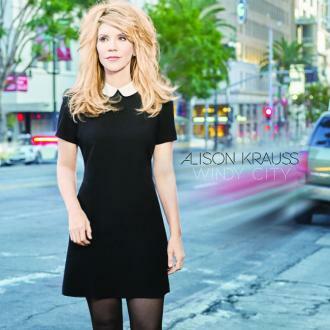 Alison Krauss is set to release 'Windy City' in March, her first album in 17 years. Alison Krauss is set to release her first album in 17 years. The 45-year-old singer - who has amassed an impressive 27 Grammy Awards across her career - will release 'Windy City' in March as well as a new single called 'Losing You'. The album features 10 songs that Alison has carefully selected alongside Nashville producer Buddy Cannon, who has worked with the likes of Willie Nelson, Dolly Parton, Loretta Lynn and Merle Haggard. The new album covers different eras and musical genres and is packed with original tracks as well as covers including 'Gentle On My Mind' and 'You Don't Know Me'. And Alison was pleasantly surprised during the recording process when she found out Buddy had written 'Dream Of Me', a song she recalled from her childhood. It took some light persuasion but he agreed to sing backup on the track along with his daughter Melonie Cannon. The album has a tinge of sadness but not in a ''pitiful'' way. Alison explained: ''It's almost like you didn't know it was sad because it doesn't sound weak. It doesn't have a pitiful part to it, where so many sad songs do. 'Windy City' is released on March 3.